The ARabesque Dancers, a Belly Dance Company peforming at birthday parties, weddings, restaurants, festivals, and more. 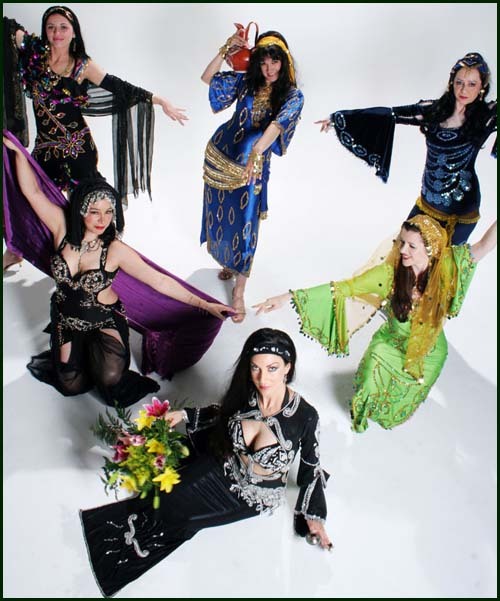 The Arabesque Dancers is a belly dance company that creates shows to fit the occasion. They have performed in many theatre productions, birthday parties, weddings, restaurants, festivals, theme parties, and experimental venues. Each dancer is highly accomplished. Their repertoire includes traditional belly dance styles and creative dances with influences from other world dance forms. Their music and costuming is exciting and varied. Shows typically consist of one to four dancers performing a variety of dances for approximately 25 minutes. Pricing is based on the number of dancers and day/time of the show. The Arabesque Dancers are also available for video, print ads, teaching, and workshops. For more information, please call or email and ask for Juliette.